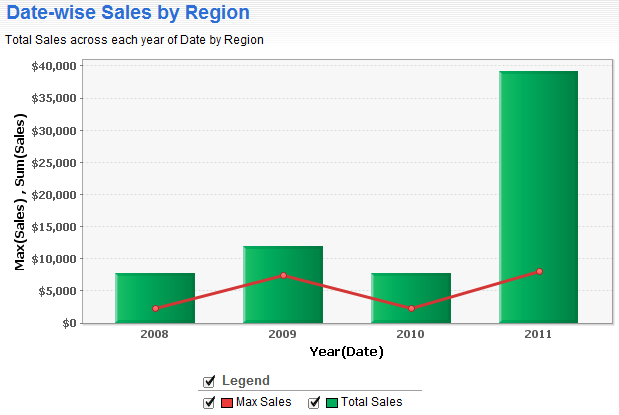 2012: What's New in Zoho Analytics? Trail on Zoho Analytics feature and service evolution. With this update we have enhanced the Charts with the following features. 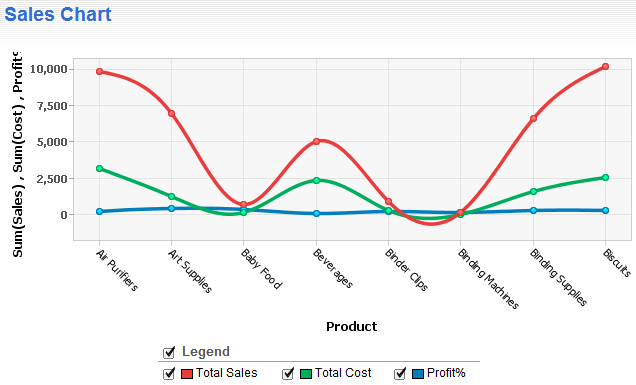 We have added many more options to customize the appearance of your chart as you wish. These options can enhance the look & feel of the chart, to match your taste or to go along with the look & feel of the application, where you are embedding the charts. You will also be able to select the chart type for each series in the combo chart from Setting screen. Also a newly designed chart settings screen with a user-friendly layout and ample spacing to capture the various customization options, is introduced in this update. Illustration of a completely customized chart using the new options added in this update. 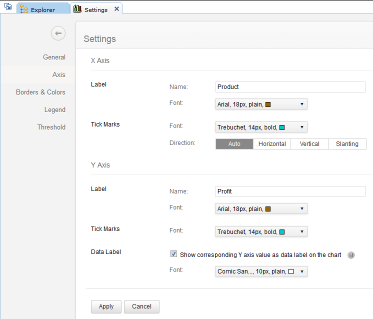 Zoho Analytics supports more combination type for Combo Charts. 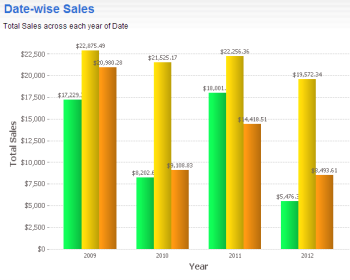 Now you can combine Smooth Line chart with Bar or Stacked Bar charts. Screenshot illustrating combination of bar and smooth line charts. Previously, when you create a Bar or Combination chart with multiple Y-axes, then all the Y-columns will be plotted in a single combined Y-axis scale. Now Zoho Analytics provides support to split the axis and plot each Y-column in its own axis. This support is already available for Line, Scatter and Area Charts. When you add new users into Zoho Analytics (using the Subscription -> Manage Users -> Add New User option), so far there would be no notification sent to those users to signup into Zoho Analytics, if they do not have an account already. You had to notify them personally to signup. With this update, when you add new users and if they do not have an account in Zoho Analytics, then an invitation mail will be sent to their email id asking them up signup and access Zoho Analytics. You can also resend the invitation mail by clicking the Re-invite User link in the Manage Users page, if they had not signed-up yet. Zoho Analytics now provides cascading User Filters support for dashboard too. 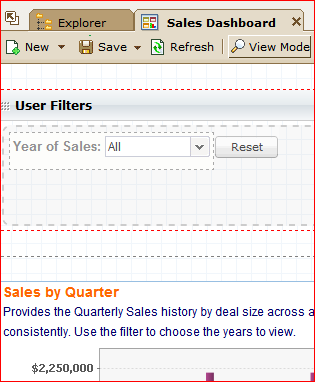 This enables you to list only relevant values in a filter as you keep applying other filter. 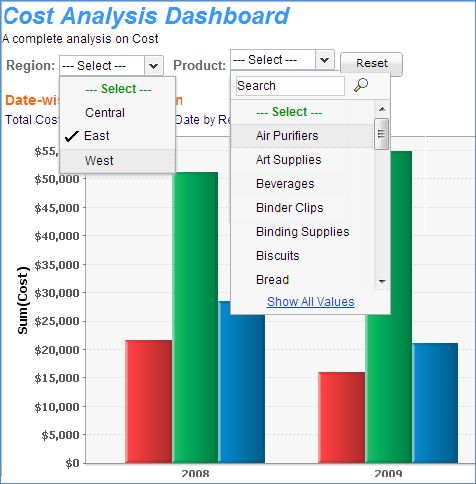 This feature is already available for Charts, Pivot Table and Summary View. Example: You have a sales report with two user filters for region and product. When you filter the data of a specific region, then the product filter will only list products that are sold in that region. So far when you filter data by Top/Bottom N value of a column, it will be filtered by the aggregate function (like Sum, Avg etc.,) applied to the column. Now Zoho Analytics provides an option to specify another column that could be used for ranking. Example: If you want to list the sales from the top 5 product categories alone across years, then you can drop the Sales column in the Filters, apply the Sum function. 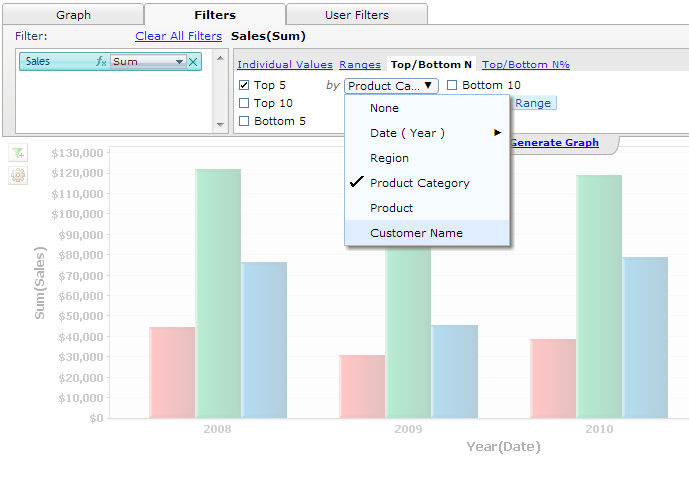 Click Top/BottomN filter option, select Top 5 and then select the Product Category column for ranking(Top 5 by Product Category). So far Zoho Analytics allowed you to import file size upto a maximum of 10MB, from the import wizard in the user interface. Now this has been increased to 20MB. 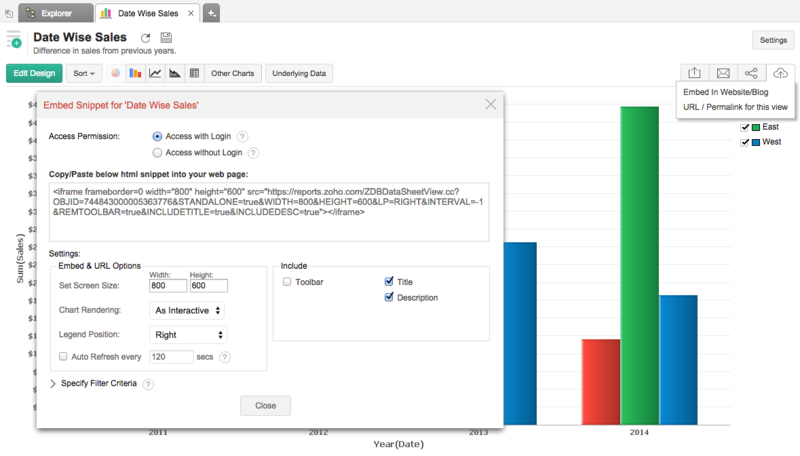 This enables you to import large data into Zoho Analytics directly from the Import wizard. So far charts can be embedded only without login. Now Zoho Analytics supports embeding charts which will prompt for login details. This will be set as the default setting, similar to other reports. Prompting for login details enables you to restrict unauthenticated users accessing your chart. 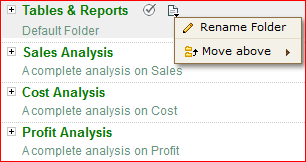 Zoho Analytics now enables you to format aggregate formula directly from any report. Click the filter icon next to the aggregate column in the fields list, the pop up menu will list the Format Aggregate Formula option. 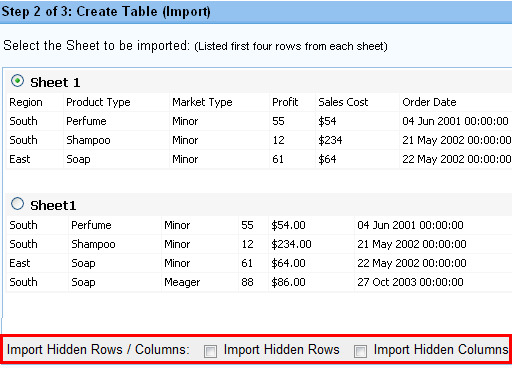 Till now while generating reports using Similar to Another Table option, only the reports created over the table will be generated. Reports over Query Tables will not be generated. Now Zoho Analytics supports generating reports over Query Table too. Previously, user filter in the Dashboard were not copied. Now user filter in the Dashboard will also be copied when generating reports using Similar to Another Table option. Smooth Line Chart is a type of line chart that connects the data points with a smooth curve. This can be displayed with or without marker for data points. Combination chart is a combination of two charts into one. A typical example will be bar and line chart combination. 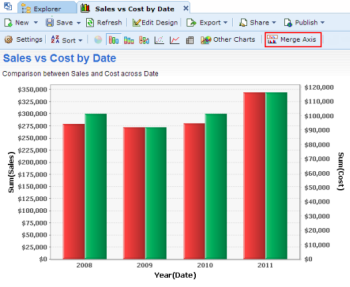 You can combine Line chart with Bar or Stacked bar charts currently. In this chart type, by default the first category or first Y axis (incase of Multi-Y) will be automatically rendered as Line chart. 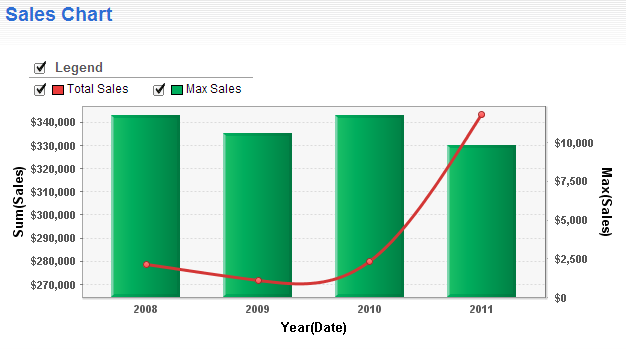 You can anyway change the chart type of any category or Y axis as required, by clicking the corresponding legend item. 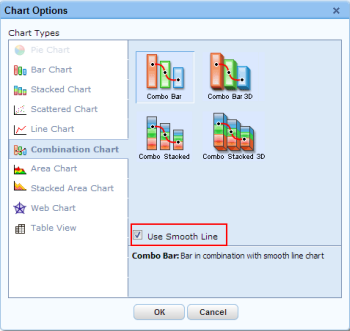 Combo Bar – Combination of bar and line chart. Combo Bar 3D - Combination of 3D bar and line chart. Combo Stacked - Combination of stacked bar and line chart. Combo Stacked 3D - Combination of stacked 3D and line chart. Previously, when creating a report using related tables, aggregate function can be applied only to the columns in the child table. Now Zoho Analytics supports aggregate function for the column in the parent table too. YTD - Year-to-date is a period, starting from the beginning of the current year and ends at the current day. QTD - Quarter-to-date is a period, starting from the beginning of the current quarter and ends at the current day. MTD - Month-to-date is a period, starting from the beginning of the current month and ends at the current day. Modified Time - Returns the time at which the record/row was last modified with any changes. 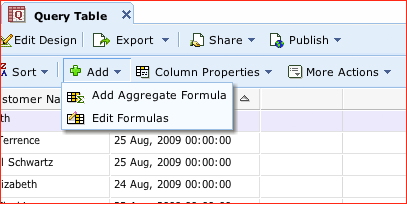 Whenever you create formula using this function, initially the function will return the created time of the record (if the record is newly added) or the current time at which the formula has been created. Subsequently the function will return only the modified time of the record, based any modification done to the record. Zoho Analytics enables you to reuse existing formulas while creating new aggregate formulas. Reusing existing formulas helps you create powerful formula combination, as well as eases in maintenance of these formula structure in your database. 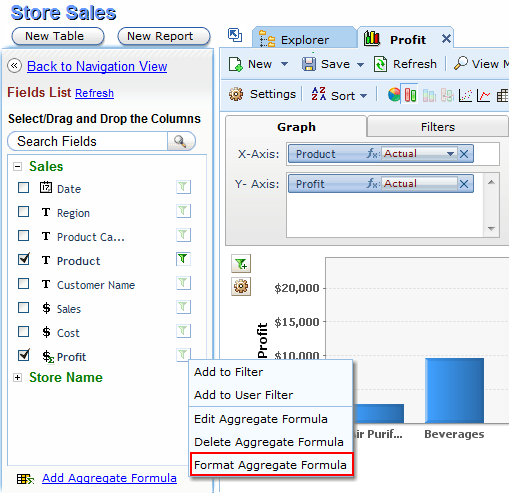 When you create a new Aggregate formula, existing formulas will be listed in the Click to Insert Columns box and will be indicated in brown with the ∑ symbol. you can insert these formulas into your new formula definition by clicking them, as you do for the other columns in the table. Zoho Analytics now provides advanced analytics for Zoho CRM in a seamless way. Using the Zoho Analytics advanced analytics add-on, Zoho CRM users can now 'slice and dice' their data and take informed business decisions. The add-on is now available for Zoho CRM Enterprise users (with plans to make it available for the Professional editon users very soon). 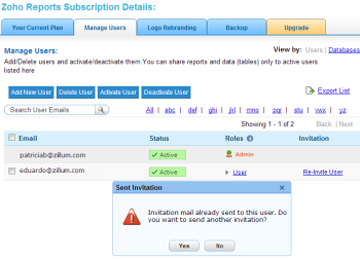 An account administrator can setup the add-on in a few clicks. And the data syncs from Zoho CRM to Zoho Analytics from then on. 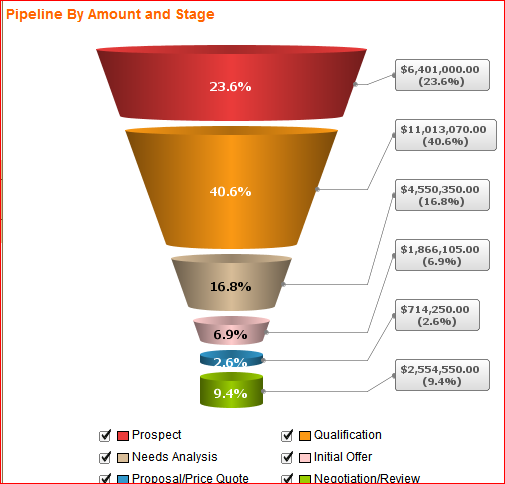 The add-on comes with 70+ ready made reports and dashboards, which every CRM user will find great value in. Users can create their own reports as well. To use this add-on, you need to purchase the Standard Plan or any plan above it in Zoho Analytics. More info about the add-on here - https://www.zoho.com/reports/crm. The Zoho Analytics Upload Tool now supports importing of data directly from these databases - DB2, DB2 AS 400 and SQLLite. Thousand and decimal separator configurations are supported too. User filters can now be placed at the dashboard level. When such user filters are applied at the dashboard level, all the reports in the dashboard are affected by them. Makes your job much easier, as you need not apply the filter for each and every report of the dashboard. 1. We now support 'Date' functions in aggregate formulas, and so you can drop any Date columns. 2. 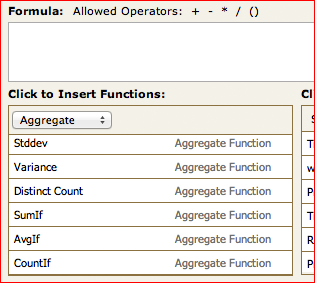 We have added three new aggregate functions - SumIf, AvgIf and CountIf. 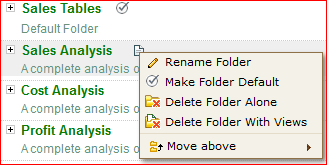 We have brought in flexibility to the default 'Tables & Reports' folder. You can now rename 'Tables & Reports' as you wish. 'Tables & Reports' need not be your default folder anymore. You can make any one of your folders as the default folder. 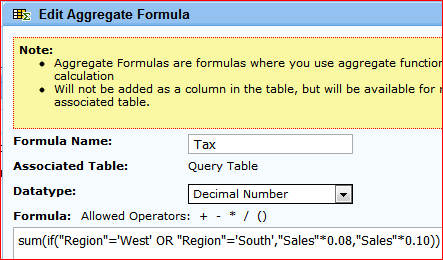 You can now add Aggregate Formula columns in Query Tables. 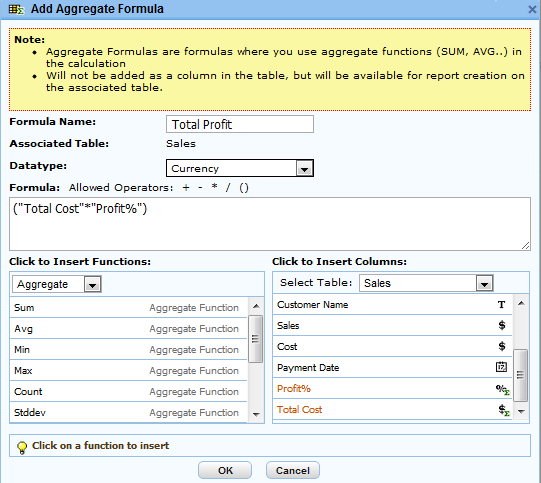 Aggregate formulas can be added using Add > Aggregate Formula menu and edited using Add > Edit formulas menu. Aggregate Formulas now support AND, OR, LIKE, IN and NOT IN operators. 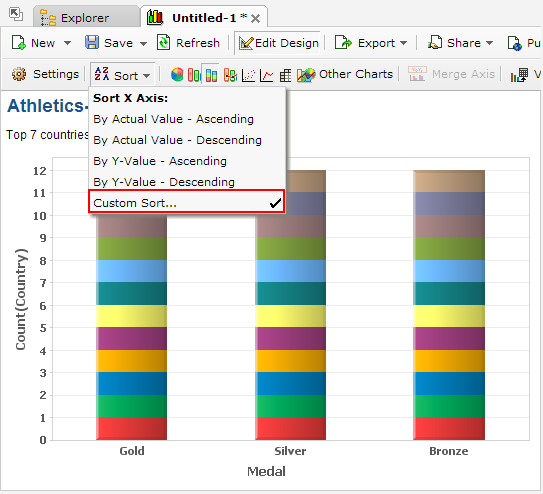 In addition to arranging axis values of bar charts in Ascending or Descending order, you can do custom sorting too. 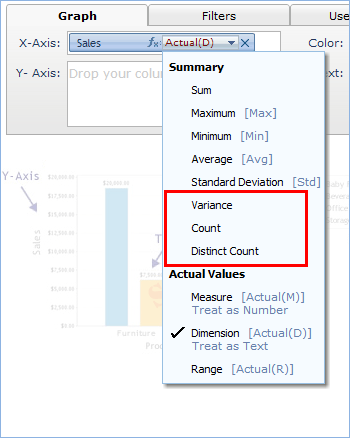 Will not be added as a column in the table, but will be available for report creation on the associated table. 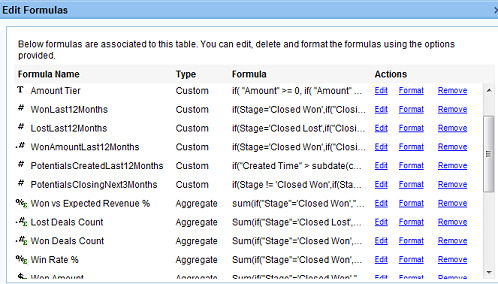 A new option to easily view and edit all your formulas defined for a tables is provided now. 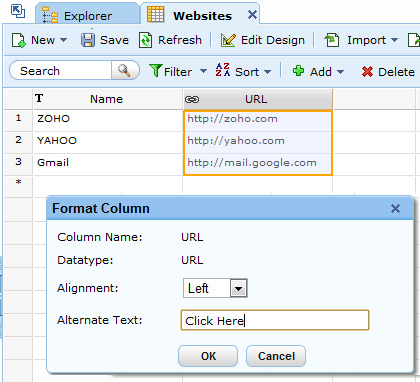 You can access this option using the option Add -> Edit Formulas option in the toolbar of the corresponding table. 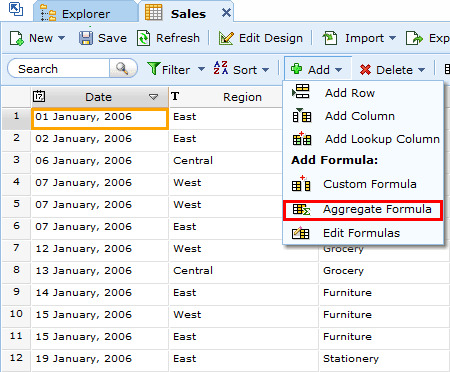 From this option, you can 'Edit', 'Delete' as well as 'Format' the existing custom and aggregate formulas in a table. Now, you can view and export the list of databases and users who have access to the respective databases with their roles in your account. View by: Database and Export List options has been provided under Manage Users tab in Subscriptions page. When a user logs in to Zoho Analytics, one of the above languages gets set based on the browser's locale setting. Users can switch to any of the other languages, from their Zoho Accounts (https://accounts.zoho.com/) Profile page. Select the column by clicking on the its header. Select Column Properties -> Format Column option from the tool bar or select Format Column option in the right click context menu. In the dialog box that appears, enter your text that describes the URL in the Alternative Text box. Import Hidden Rows: By selecting this option, any hidden rows in the excel sheet will be imported. Import Hidden Columns: By selecting this option, any hidden columns in the excel sheet will be imported. You can now choose your own thousand and decimal separator symbol to be used in your data while importing data into your database. Following options are made available under More Settings link for configuring the separators. Thousand Separator: Option to choose your own thousand separator to be used for number, positive number, decimal number and percentage data type columns. The default value is NONE. Decimal Separator: Option to choose your own decimal separator to be used for decimal number and percentage data type columns. The default value is DOT.